CRM, or Customer Relationship Management, focuses on gathering and managing data that can potentially provide insights and information to provide a successful customer relationship. CRM can be considered a process, a lifecycle, or a journey with no end because it is always evolving and changing. 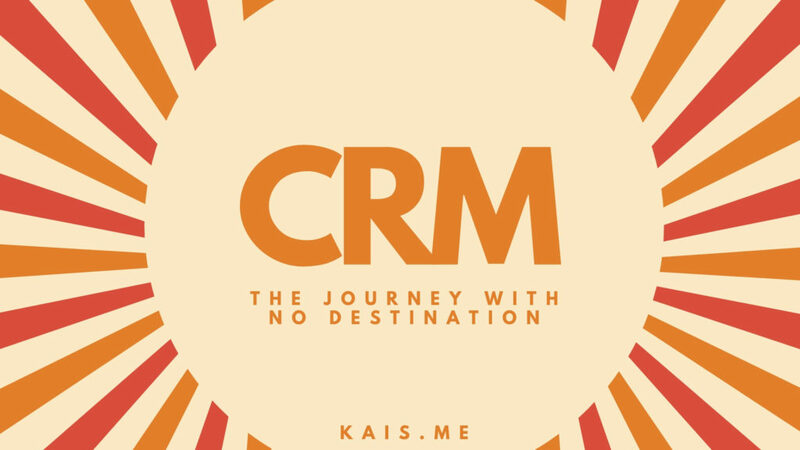 The reason for that is that fact that company goals might change, people’s behaviors might change, technology is constantly changing, therefore there is no final destination to reach when it comes to CRM. Things are always evolving and changing, therefore the CRM process has to stay up to date that and keep evolving. The figure below demonstrates the CRM strategy as a process, where it is a never ending cycle that keeps evolving. For example, say the process starts with the marketing team creating campaigns and generating leads, then those leads are assigned and tracked through sales, after that orders will be placed and deliveries made, then the support process comes in to support the product and provide service which in return will develop a knowledge base around that product and how customers are using it, then this knowledge base can be used later by the marketing team to create new campaigns and generate new leads based on the information they got, and so on the process keep going.